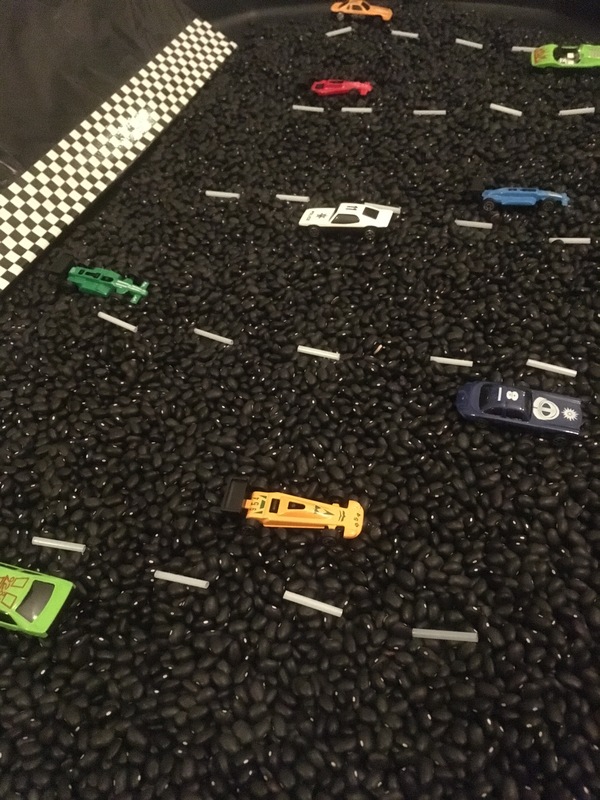 Last weekend we celebrated Bobcats 3rd birthday with a cars themed birthday party. He would watch the Disney films every day if we let him so it felt like a fitting theme! 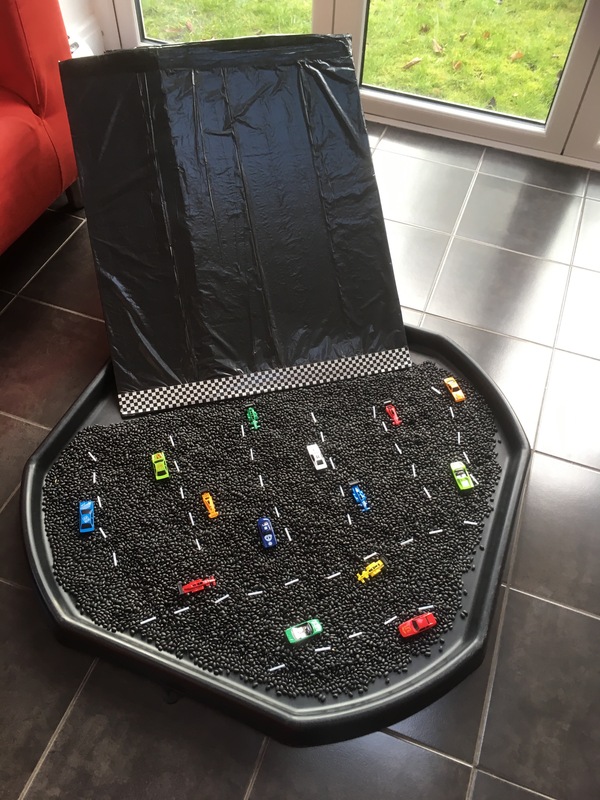 I was inspired by Buggy and Buddy and Heather bird photography to create a bean based sensory tray with a car ramp into it. The ramp is a large piece of folded card with garden canes to stabilise it, covered in a bin bag with some checkered patterned duck tape. Then in the tray are black beans and straws for the lines. 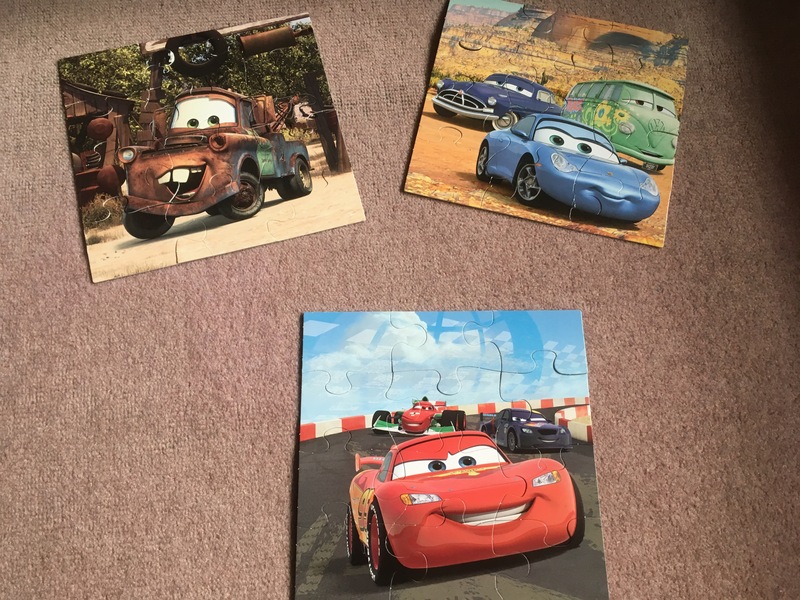 And we got out lots of other cars themed toys out! 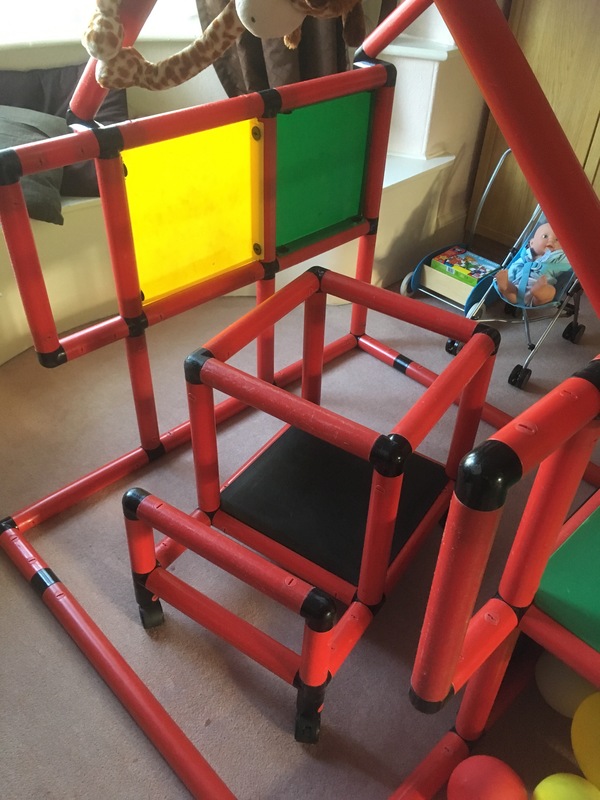 My sister and I also built the quadro climbing set into a pit lane – this was definitely the kids favourite thing to play with! 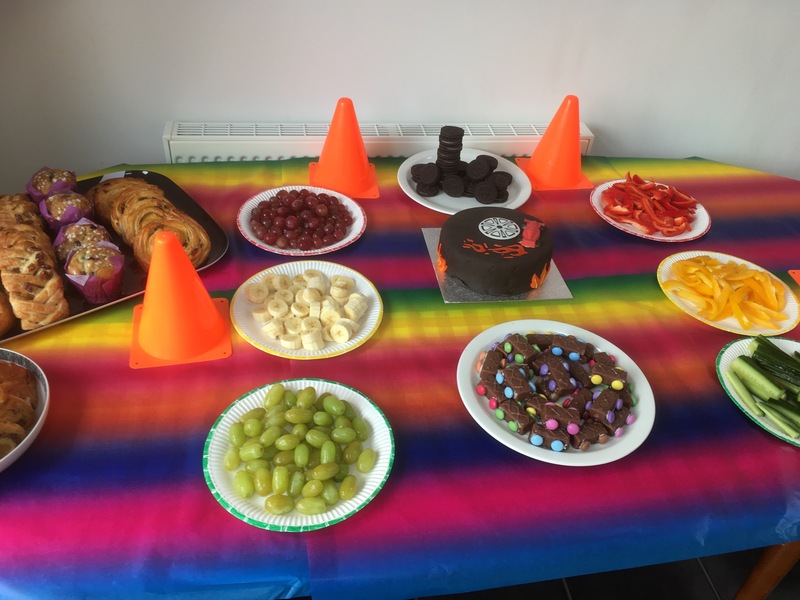 For the snack I made chocolate bar cars, we had a Oreo tyre tower, grapes and bananas made up a fruit traffic light, and peppers and cucumbers made a vegetable traffic light. Bobcat loved having all his friends round for his birthday and had a fab day! 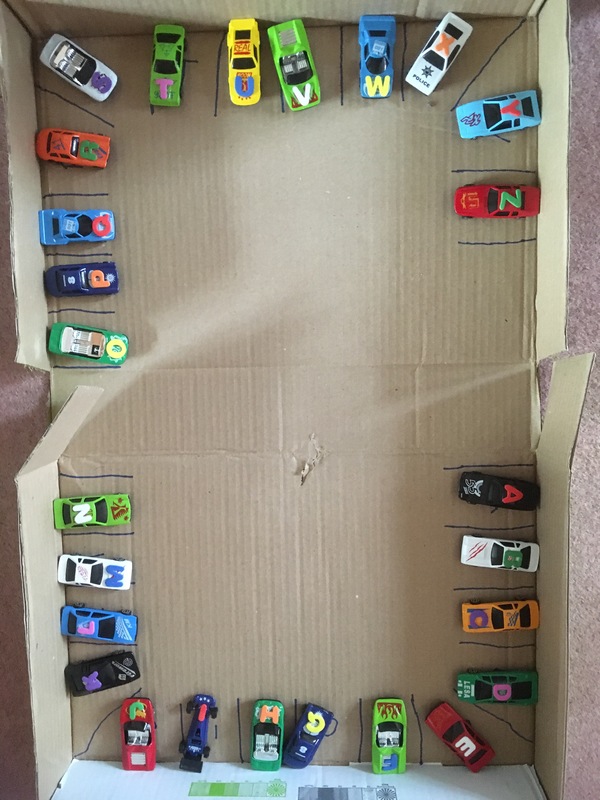 We followed the cars theme later in the the week and used some of his new cars and an old box to create a letter car park. Bobcat did a great job of matching up the different letters and we had some good chats about what the different letters are called and what they sound like. Bobcat also had fun with Grandma using our homemade stamp pad (paint covered sponge in a box) and a car stamp (made from foam stuck to a lid) to make his thank you cards. 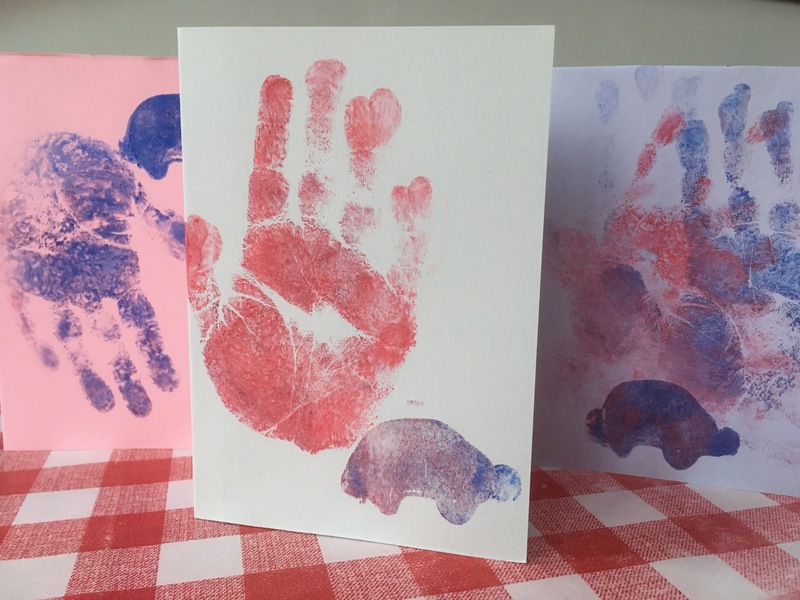 It was a positive step on his ‘being okay getting messy’ journey that he asked to put his hands in the paint and had a great time adding hand prints to his cards too. 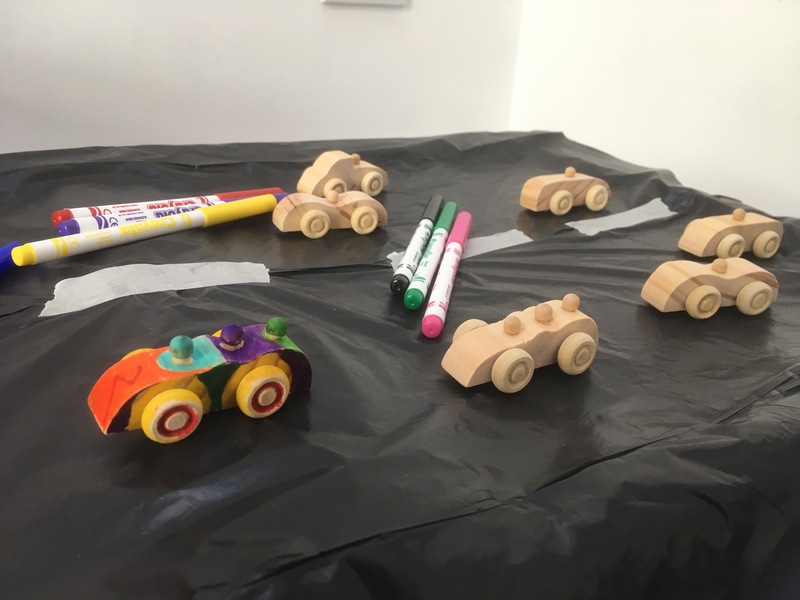 We’ve enjoyed celebrating Bobcats birthday with lots of car themed fun and we’re looking forward to pancake day and the beginning of lent this week!